Contracts for differences (sometimes referred as swaps or waves) allow investors to take long or short positions, and unlike futures contracts have no fixed expiry date or contract size. In practical terms, investing in shares through contracts for differences offers similar profit (or loss) opportunities as when trading stocks in the traditional manner. CFD trading is in effect similar to normal shares trading with some important differences. You deal at the actual price of the stock, and pay a commission which is calculated as a percentage of the value of the transaction. One such difference is that when you trade a CFD you don’t own the actual share. When you trade a CFD on Google or BHP Billiton, you are trading the price difference between your entry point and your exit point. You don’t own the Google or BHP Billiton shares – you are only counting on their price going up or down. Another is that with CFDs you do not pay for the full face value of the shares and instead you deposit an initial margin payment which can be as low as 1% on very liquid instruments. In terms of the derivative’s family tree, CFDs sprout from the futures and options branch. The closest cousin to CFDs is spread betting, which works on similar principles in that you are trading on margin and you can go long or short on a position. However, in monetary and experience terms, there is a higher level of barrier to entry for CFDs. I think the term CFD was invented by a politician just to confuse people. If we could wind back the clock, I would call them something like ‘synthetic stock contracts’, because that’s effectively what CFDs are. Effectively there is very little difference between a CFD and the stock itself, apart from the fact that the voting rights are held by the company that holds the contract. Any movement in the underlying stock, up or down, will affect the client in exactly the same way as it would if he or she held the underlying stock. The ability to short the stock is an added bonus of CFDs. A CFD is as an agreement between two parties to exchange the difference between the opening price and the closing price in the contract traded. One party is the CFD provider, the other party the client. 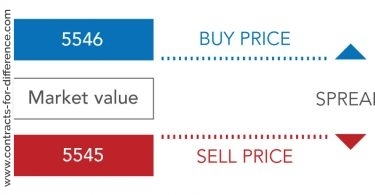 The traded price is the current market price, with the actual market spread at the current time of the trade. In other words the client simply makes or loses the difference between the opening price and the closing price. To an investor, CFDs work a little bit differently to stocks. Let’s take an example to illustrate how they work. Let’s say you find a stock with an ask price of $50, and decide to purchase 100 shares of this stock from a CFD broker. The first thing you will notice is that you would display a loss, as the stock needs to appreciate to cover the spread – if the spread is 2 cents, then you would see a 2 cent loss per stock. If the stock appreciated to $50.50, and you chose to sell, you would have to pay on the spread again, losing a couple more cents, making a $50 ‘profit’ on the 100 shares closer to $48/$49. Starting off at a loss no matter what can be a bit off putting, but unlike with stocks you don’t have to pay commissions and other fees, so very often going with CFDs means that you end up making more money through CFDs than you would with stocks. Traders avoid paying stamp duty, because they do not hold the physical stock, and as CFDs have become so popular the commission levels have reduced dramatically. There are a few key advantages to trading with CFDs as opposed to stocks. Firstly, CFDs provide you much higher leverage, allowing you to make large profits with relatively small amounts of initial capital (although this of course does mean you can make large losses!) It can be as low as a 2% margin requirement, in strong contrast to the 20%+ margin requirements commonly seen in traditional asset trading. There are also fewer rules regulating the trading of CFDs, with no day trading requirements or short selling rules. Clients also avoid paying stamp duty, because they do not hold the physical stock, and as CFDs have become so popular the commission levels have reduced dramatically. There are some important disadvantages to consider when looking at trading CFDs instead of stocks. Due to the fact that you pay on the spread on purchase, there’s little potential to make a profit from small movements in the market, and the lack of regulation means that credibility of the broker is even more important. If you are considering trading CFDs instead of stocks, then the same rules for trading stocks still apply – know the market you’re investing in, know the asset your trading, and have a comprehensive trading plan. Just remember that the higher leverage possible with CFDs does mean higher potential losses! They have been a staple of the institutional market for some years but now they are available to private investors they are one of the fastest growing financial areas, as more and more individual investors make use of their flexibility. CFDs are undoubtedly one of the most exciting products available to the retail investor in recent years,” adds City Index rather breathlessly. There are three primary cashflows related to an equity investment – the difference between the purchase and sell price, the dividend (if any) paid while the investment is held, and the interest on the cash required to pay for the stock. The CFD contractually passes these cashflows to or from the client. ‘Like other derivatives they were designed for those investors who wanted to benefit from movements in an underlying asset, but did not need any rights of ownership. As such, you are not entitled to any voting rights – but because you don’t own the actual share, it also means you are not liable to pay stamp duty. Investing via CFDs gives you access to thousands of UK, US and world shares on margin with transparent pricing direct from stock exchanges around the world. The standard rate of commission on all this is 0.10%. But what is margin? Well, as CMC Markets says, it is a ‘more efficient use of capital because you only have to allocate a small proportion of the value of your position to secure a trade, while still maintaining full exposure on the market’. The company summarises this by saying that “in effect, you are able to magnify your return on investment”. As Hargreaves Lansdown goes on to explain, ‘this is called gearing’. Or you can open a position without having to put up the full underlying value. Instead you put up a deposit or margin from just 10% of the contract value (or 5% for limited risk trades). Always remember, however, that the obvious corollary to such a leveraged position is that your losses are likewise magnified. CFDs utilise leverage and can be very high risk, so they are only available to clients who have the experience and resources to deal in these type of investments. Hence also the risk protection on offer in the form of stop-loss mechanisms. ‘If the market moves sharply against you, we guarantee that your position will be closed at your chosen stop level,’ says IG Markets. Mr. X buys $50,000 of Microsoft Mr. @ 25.00 for a total of 2,000 shares. Mr. X buys $50,000 of Microsoft Mr. @ 25.00 for a total of 2,000 shares. He receives a dividend of .25 per share or $500 total. He receives a dividend of .25 per He share or $500 total. Considering a .25% commission rate charges equal $125 or $250 round turn. Considering a .25% commission rate charges equal $125 or $250 round turn. Profit: 500 + 2,000 – 250 = $2,250. Profit: 500 + 2,000 – 250 = $2,250. Return on Investment: 2,250 / 50,000 = 4.5%. Return on Investment: 2,250 / 5,000 = 45%. 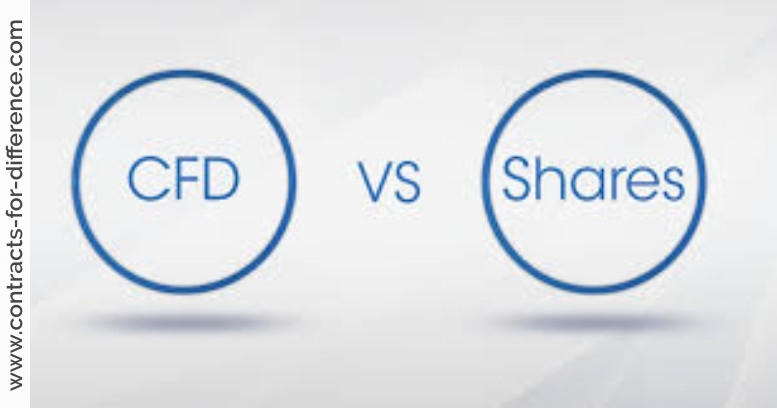 Which to use: CFDs, Shares or Futures? Contracts for Difference suit most trading strategies and can complement your existing trading plan. 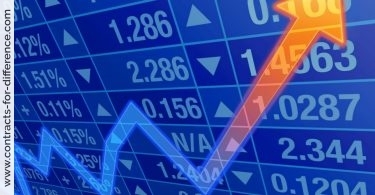 They are especially convenient for the stock market (if used under around 10 weeks, an estimated point where CFD financing charge exceeds financing charge for stocks) while futures are preferred by professionals for indexes and interest rates trading (but CFDs for indices are used too and futures for stocks also). In addition to avoiding stamp duty in the UK, increased flexibility and leverage are other advantages of CFDs over more conventional forms of margin trading (like stocks), although with futures there is usually sufficient leverage available (typically 20:1, but can be as high as 70:1). All forms of margin trading involve financing charges (with the exception of the Spot Foreign Exchange market), although in the case of futures contracts these are already embedded in the price of the instrument. As you will by now have gathered, CFDs are not for the faint-hearted. In fact, all providers are obliged by the Financial Services Authority to ascertain from prospective clients that they are well-versed in the arts of trading the markets and have the appropriate experience to enter into the field. On this basis, it is clear that CFDs are not a product suited to everyone’s needs. That they can be a useful weapon in the private investor’s armoury is undeniable – they do open up the benefits of ideas such as shorting and gearing and they also come without the cost of the spread. However, only experienced private investors need apply – as with any form of short-term trading on margin, while the benefits can be huge, so can the losses. Bags of experience and a disciplined trading strategy are essential. As a rough guide, if you are considering using such instruments for the first time, it might be better to look first at using spread betting as the nursery slopes. Alternatively, you can find a plethora of guides and online training programmes on the sites listed opposite.